RUSH: I was rereading today part of the speech that Kamala Harris gave when she announced her presidential campaign, ’cause there’s a controversy about it. Apparently, one of her big supporters is Herbalife, and as attorney general of California, she gave them a pass in prosecuting them for things or ignoring them in instances where they should have been investigated because they’re donors. So in the course of this story, I ran across this little paragraph: “At a rally in late January in her native Oakland, California, U.S. Sen. Kamala Harris announced her intention to seek the presidential nomination by casting herself as a tireless advocate of men and women who lack power and wealth. “The former attorney general of California — who since 2017 has been the state’s junior senator — described her first appearance in the courtroom, as a young San Francisco district attorney. ‘I knew I wanted to protect people. … And I knew that the people in our society who are most often targeted by predators are also most often the voiceless and vulnerable. '” Well, let’s go back here. She cast “herself as a tireless advocate of men and women who lack power and wealth.” Sounds wonderful. Sounds great. So if you’re a person out there who thinks you have no power and if you don’t have any money, and you hear somebody like Kamala Harris and it inspires you, you say, “I’m gonna support this woman! I’m gonna support Kamala Harris, ’cause she’s gonna be looking out for me. She’s gonna make sure I have some power and she’s gonna make sure I have some wealth.” Well, sorry, but she can’t. There is not — and listen to me very carefully here, all of you. There is not a politician in this country who can make you wealthy and successful, unless you’re already there and give them some money, and then they can grease skids for you as lobbyists or as corporate donors. But you, the people she’s talking about, the invisible, faceless, great unwashed with no money and no power? Sorry, Kamala Harris can’t do a thing for you. She can’t make you rich. She can’t somehow magically confer power on you. You know what she’ll do? She will punish those who are rich and who are powerful to make you think she’s looking out for you. But she’s not gonna do anything for you because she can’t. There’s not a single politician in the world that can make you a success. There’s not a single politician in the world who can make you powerful. Guess who can do that? You! You are the only one who can do that, and you have to work for it. Still, the old recipes apply. 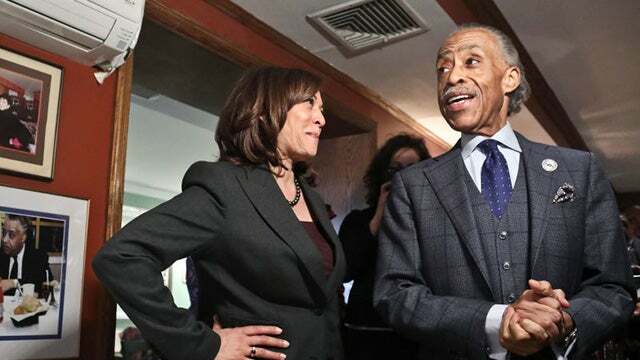 No matter what societal evolution that we’ve had, the simple fact of the matter is if you become a dependent on somebody like Kamala Harris for wealth and power, you’re gonna end up with very little of either. You’re gonna soon become a victim. You’re gonna become, in your own mind, blameless. 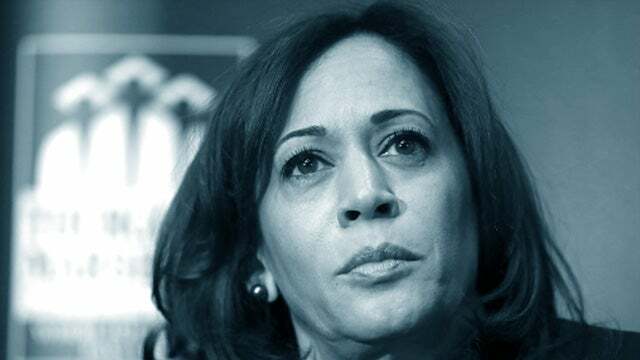 The moment you become a victim, you are admitting you can’t do anything because all these odds are stacked against you, and now you’re gonna be sitting around the rest of your life waiting for Kamala Harris or somebody like her to come along and make you rich and make you powerful. And there’s not a one of these people that can do it. You need to stop and ask yourself when you hear Kamala Harris or other people say this, how they gonna do this? Are they gonna change the tax code so that you get to keep more of what you earn? Well, wait a minute, still have to work for that. That’s not gonna work. How’s she gonna give you power? She doesn’t know who you are. She’s not even gonna meet you. She’s not ever going to run into you. She’s never gonna meet these people that she’s claiming to represent, claiming to look out for. What she’s going to do is continually complain and moan and whine and attack people who already have wealth and who already have power, and she’s gonna blame them for the fact that you don’t have any of either. And then she’s going to tell you that she’s gonna tax ’em, she’s gonna punish ’em, she’s gonna do things to make their lives a little tougher, and that’s supposed to make you think she’s looking out for you. Well, the Democrat Party’s been doing this my whole life. And the people that they’ve been claiming that they’re gonna help and lift up are still complaining after 50 years! The people the Democrats represent are still complaining about not being rich, not having power, still being discriminated against, still being mistreated, still being ignored. The Democrat Party isn’t doing anything for them, except talking a good game and getting their votes. In fact, more of you are probably gonna end up donating money to people like Kamala Harris than she will ever end up sending money back in your direction. And it’s not just Kamala Harris. It’s all of them. Because the one thing that still hasn’t changed throughout human existence, and that is whatever you want, you have to go get. Whatever you deserve in your mind, you still have to go get it. You are the one that makes it happen, because nobody, nobody is ever going to care anywhere near as much about your success as you will, despite what they say. But it is a financial and humanly impossible thing for Kamala Harris to take every powerless and poor person in America and change their circumstances. In fact, you might even make the case that Donald Trump is doing a better job of that than Kamala Harris or Barack Obama or Bill Clinton or Hillary or any of the others have ever even gotten close to doing because Donald Trump is actually making this economy grow and soar, and there are job opportunities with wage increases happening all over this country. That doesn’t happen when people like Obama are in the White House. When Obama’s in the White House, we hear about the new economic reality. We must manage the decline. America’s greatest days are behind us. We’ve racked up all these things, and we can’t afford any more, while they continue to spend like crazy. And so the real economic growth, the real opportunity in the country is created by a particular ideology called conservatism, when properly applied, improves opportunity for everybody who wants to seek it. But it doesn’t matter, if a Democrat’s in the White House, a Republican, a Martian or whatever, the laws of human existence haven’t changed. If you sit around and do nothing, you’re gonna do nothing. If you sit around and wait for your back pocket to be filled up, your back pocket is gonna remain empty. And if you’re gonna rely on a politician from either party come along and tell you that they’re gonna make sure that you’re no longer overlooked, that you’re no longer taken for granted. Go out and ask every constituency in the Democrat Party how the Democrats are looking out for ’em has worked out for ’em in the last 50 years.